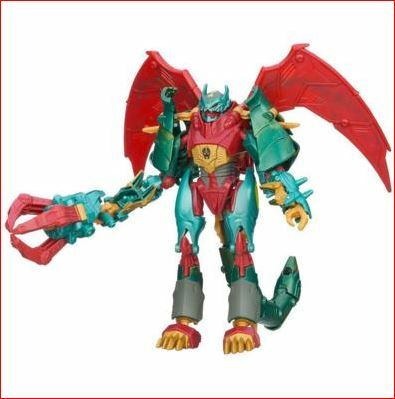 Transformers Prime Beast Hunters Giveaway!! Transformers recently released a brand new line of toys to activate the imagination and correlate with the awesome new Emmy award winning animated series Transformers Beast Hunters story appropriately known as the Prime Beast Hunters! These new toys include the Transformers Deluxe Assortment (ARP: $14.99) the Voyager Class Assortment (ARP: $19.99) and the KRE-O Transformers Beast Hunters Ripclaw Strike Building Set (ARP: $16.99). You can check out all the toys on the Transformers retail website. 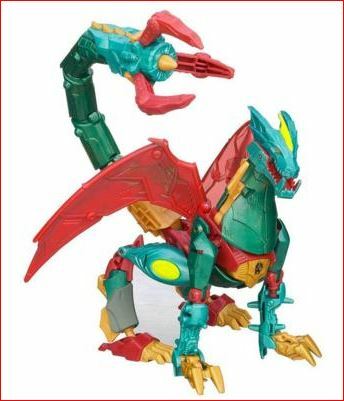 We received the Transformers Deluxe Assortment Ripclaw figurine which is suggested for children ages 5+ and effortlessly transforms into the menacing dragon pictured above. Prepare to demolish Autobot enemies and leave them in the dust with Ripclaw’s deadly and powerful snapping Siphon Claw or her mech-venom! With just a few transformations, your child will be able to transform the Ripclaw transformer into a dragon all by themselves! Keep converting her back and forth so her Autobot enemies can’t keep up with her! I am part of the Mom It Forward blogger network. Mom It Forward and Hasbro partnered in support of this campaign. Hasbro compensated me for participation in this campaign. However, all thoughts and opinions are my own.